This month the Polytechnic University of the Philippines (PUP) organized its first West Philippine Sea national conference. 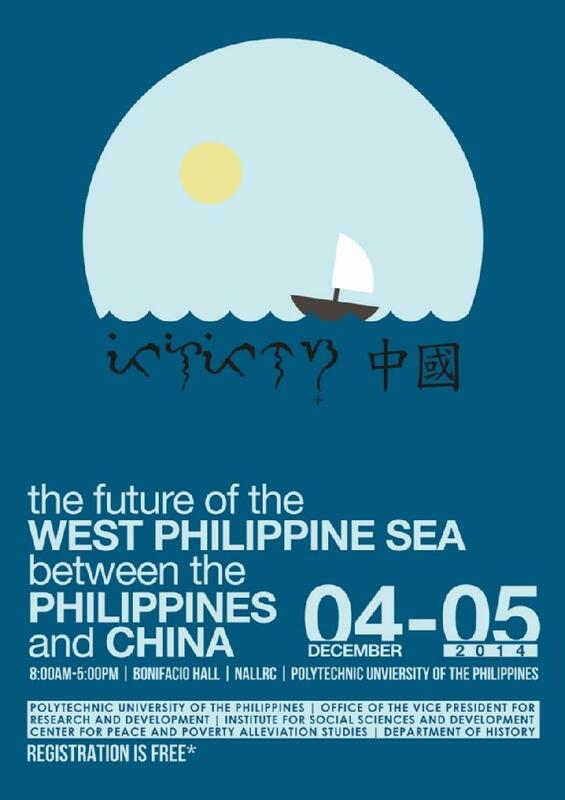 To explore, discuss and anticipate probable futures, leading Filipino international relations experts, scholars and participants wrestled for two days the past,present and future of Philippine-China maritime dispute in the South China Seas. Around more or less 150 participants attended the event. The conference discussed the history of the dispute and socio-cultural relations past and present of China and the Philippines. The socio-economic implications of the controversy, the view from the Armed Forces of the Philippines and the country’s Department of Foreign Affairs, the US pivot, the China Threat theory, emerging trends and trajectories including the the merits of negotiation and compromise, possible gains, the fears and hopes for the Spratly’s were thoroughly discussed. The primacy of domestic politics over international relations in the Aquino administration. While there were attempts to maintain cordial relations with China, the country’s domestic concerns – high level corruption, bribery, disasters, extrajudicial killings, national and local elections, armed conflict (internal security driven) and a distracted, dissolute and ill-disciplined policy and strategy in the South China Seas gave China the leverage, fortify and occupy many of the Philippines claimed territories. The Philippines refuses to talk with China bilaterally as Philippines insist to resolve the issue multilaterally and legally. Balance of power. Power shift from US to China. As China seeks to control “near seas” its military spending also increases. the country’s capability to defend its territory is constrained by limited resources (tangible and intangible). Pursuing the legal track is more practical and feasible for the country given limited resources and the refusal of the ASEAN to “internationalize the issue” amidst simmering regional tensions. China’s claim is a historical burden. The Chinese claim goes further back to the Han dynasty. Their Nine-dash line claim is in conflict with the exclusive economic zones and continental shelf defined by UNCLOs. The Philippines considers China’s claim as disturbing and puzzling. The white elephant in the room was the US attempt to exclude China from the Trans-Pacific Partnership. TPP is a US designed, proposed trade agreement and regional architecture for Asia. The Philippines proposal to include the US in multilateral negotiation is one of the major causes of disagreements between Philippines, China during the ASEAN ministers meeting. The lack of a unified approach on the issue may result to a divided ASEAN in the immediate future. Complementarity and compromise through negotiations between sovereign states on the basis of historical facts and universally recognized international law (Benito Lim, 2013). Manage and tackle the issue through dialogue and consultations and the establishment of a Joint Communique. Resolve territorial dispute by peaceful means. “The negotiating table is the greatest equalizer in international relations”. Vietnam and China are talking despite the conflict between them. Local politics will continue to drive our priorities on the Spratly issue. It is likely that a change in administration would shift the focus from a media/public, provocative approach that arouses, to borrow Ang See (2013) paraphrasing former Secretary Alberto Romulo, “hawkish reaction fueling nationalism” from both sides. South-South cooperation and agenda may likely, in the immediate and long-term future, diffuse further the possibility of a military conflict in the South China Seas. But a used or disowned future may likely benefit China in the long run. Is a handshake much better than a fistfight? Absolutely! In order for the the handshake to occur claimant countries should, at the systems level, institutionalize these worldviews: deep diplomacy (socio-cultural, civilizational), positive sum gains, reconciliation and convergence. Joint venture, bilateral sharing agreements and demilitarization are strategies that could diffuse the tensions. A recalibrated balance of power is plausible when countries embroiled in the conflict collaborate to achieve the aspired future of peace, harmony and prosperity in Asia. The ocean does not divide as it is a critical node for transaction and networking in Asia (Tsang, 2012). As I have concluded in my paper that explored alternative futures in the Spratly’s, “the Panatag shoal controversy is a very complex issue. The dispute is also closely related to issues of freedom of navigation, maritime security and conflict of laws. While it is overwhelmingly hard to foresee what lies ahead, there are rare events, patterns, images, ideas and worldviews shaping the ascent of some plausible futures….There are vivid images, values and patterns that emboldens the possibility of war like meddling and third party intervention, legal battles, cancellation of trade agreements, increasing military spending and build-up, the China threat theory, trade sanctions, etc. And strategies and images that reduces conflict and promote peace and understanding such as joint venture, bilateral and multilateral agreements, demilitarization, transnational interaction and network, alternative dispute resolution, cake sharing, regional convergence, shelving the claims, etc.” (Cruz, 2013). My preferred future is peace and factors that promote this must further be analyzed and articulated. My scenario for peace is what I called the “Z scenario” and the necessary steps to achieve them must be explored. In a Z scenario, the nation-states in dispute agrees to harmonize their intentions and interests. Based on openness, mutual trust and goodwill, they would formalize an accord with specifics stating in clear language their relationships and conduct in the disputed islands. The six nations in a Z scenario agrees to issue a joint communiqué and ratify dozens of treaties to enact and enforce a new deal which they will call the Zone of Peace, Friendship, Freedom and Cooperation in the South China Sea or simply the “Z”. The openness of the claimant nation-states to dialogue and the region’s willingness to enter into an accord and adopt a more pragmatic approach to resolve the Panatag shoal dispute makes peace a plausible future in the West Philippine Sea (Cruz, 2013). Ang See, T and Sta. Romana, C. (2013) Philippine-China Relations: Sailing beyond Disputed Waters. Philippine Association for China Studies. Chinese Studies Journal. Volume 10. The latest Journal of Futures Studies (JFS) is out and happy to see my paper exploring the futures of the Panatag shoal published in the Manoa School special edition. Leading scholars of international relations argued that the West Philippine Sea dispute (South China Sea) was a tinderbox waiting to happen. Many analysts fear that the dispute could lead to a direct military conflict if tensions remain at the Panatag shoal. Recently, public interest in the disputed island resurfaced when China, the Philippines and Vietnam traded accusations of repeated incursions. The disputed triangle chain of reefs have caused deep diplomatic divide between the six claimant nations. The tension that was once mutual is now visual and magnified by the sporadic show of deception and force by the Philippines, China, Vietnam and Taiwan at the diplomatic and military levels. The spat is now the news hour and the remarkable story line of Asia. The Panatag Island dispute has disrupted the relative peace of the region and will, in a multifaceted way, affect the future of Asia. This paper explored possible scenarios on the future of the Panatag island controversy. Using Jim Dator’s four archetypes of alternative futures it asked the questions what are the possible scenarios in Asia when viewed from the Panatag Island controversy? What are the consequences of a continued economic growth, collapse, conserver and transformation scenarios at the Panatag Island? What might happen if conflict escalates and worst case scenario eventuate? What are the likely impacts of these scenarios on other regional disputes like the Senkaku Islands (Diaoyu Islands) and the Takeshima Islands (Dokdo Islands) chain of island dispute? What are the likely impacts of the scenarios on the future of US-China relations? What scenario needs to happen for claimant nation-states to reduce the possibility of direct military conflict and prevent war and for the region to advance demilitarization, reconciliation and convergence to resolve the dispute? 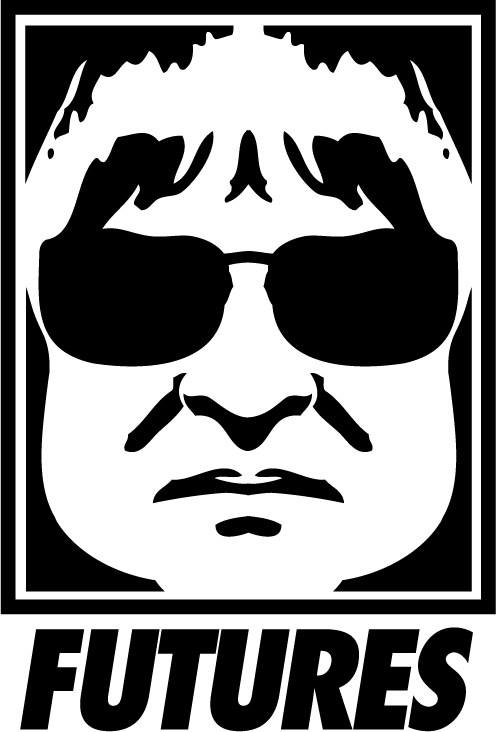 While there are other scenarios beyond Dator’s alternative futures, this paper will only explore possible scenarios using Dator’s alternative futures archetypes.